Let’s Big Data. 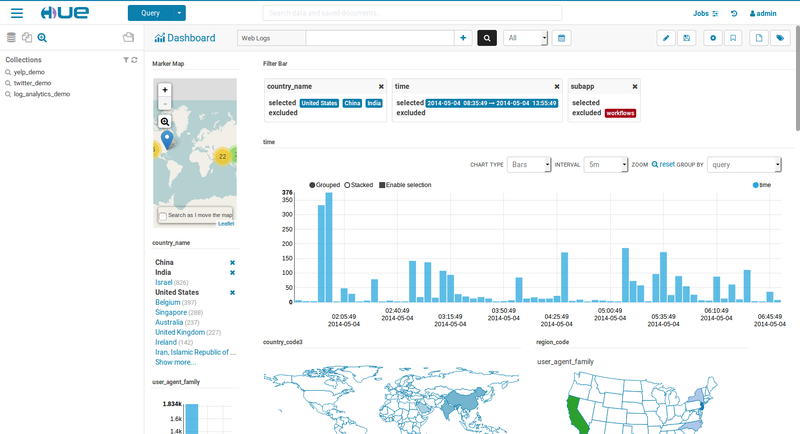 Hue is an open source Web interface for analyzing data with Hadoop and Spark. Thousands of companies and organizations use Hue to open-up their data and provide self service querying in order to make smarter decisions. 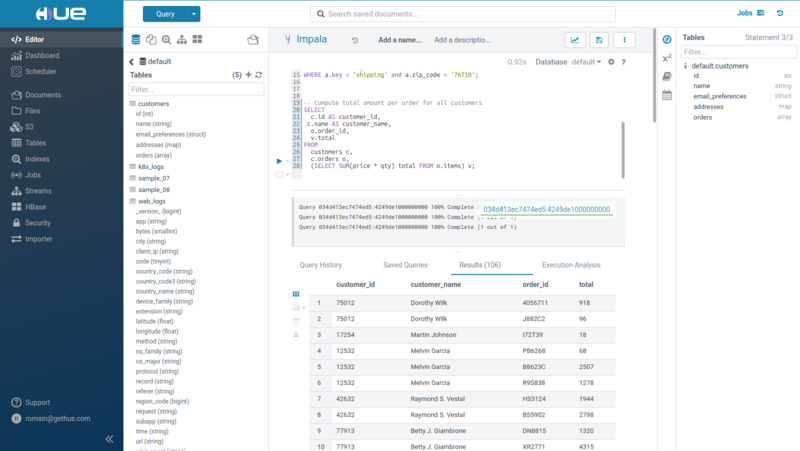 Just at Cloudera, Hue is heavily used by thousand of customers executing millions of queries daily. Hue directly ships in Cloudera, Amazon, MapR, BigTop and is compatible with the other distributions. Now Hue should be running on http://localhost:8000 ! The configuration in development mode is desktop/conf/pseudo-distributed.ini. Read more in the installation documentation. Start Hue in a single click with the Docker Guide or the video blog post. Configurations to start a Hue server are available at tools/kubernetes. The Kubernetes hue.yaml configuration is available in the template directory.